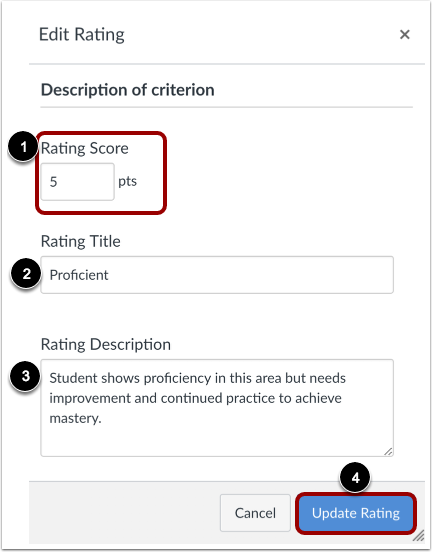 You can create rubrics for instructors to use across your institution. 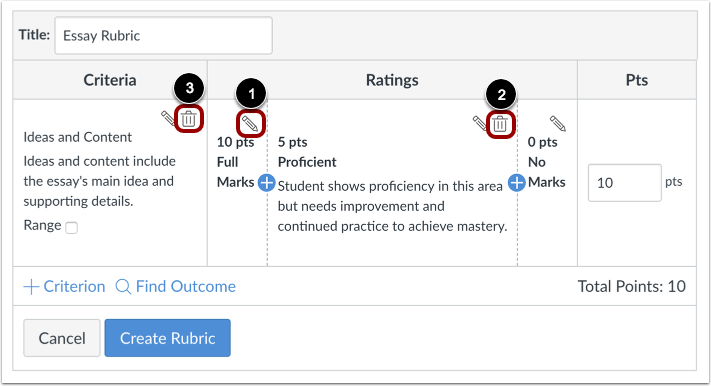 Instructors can add account-level rubrics to their assignments, graded discussions, and quizzes. 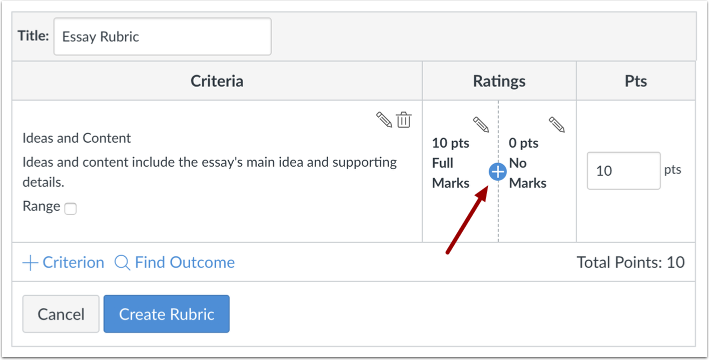 Instructors can also create their own rubrics in their courses. 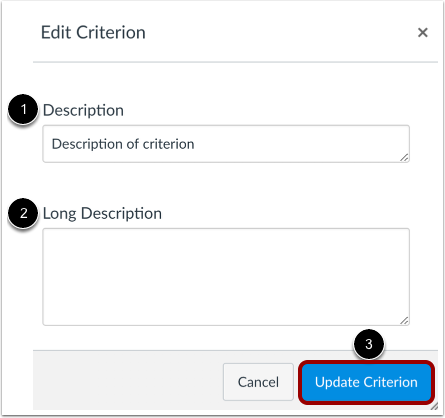 The option to create a range is currently managed by the Rubric Criterion Range feature option, which can be enabled at the account level. 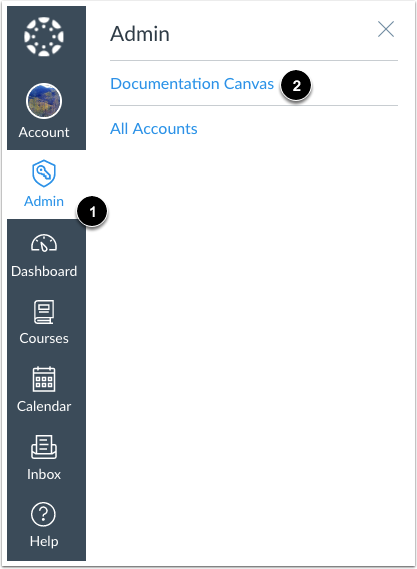 To enable this feature, learn how to manage feature options in the account features lesson. 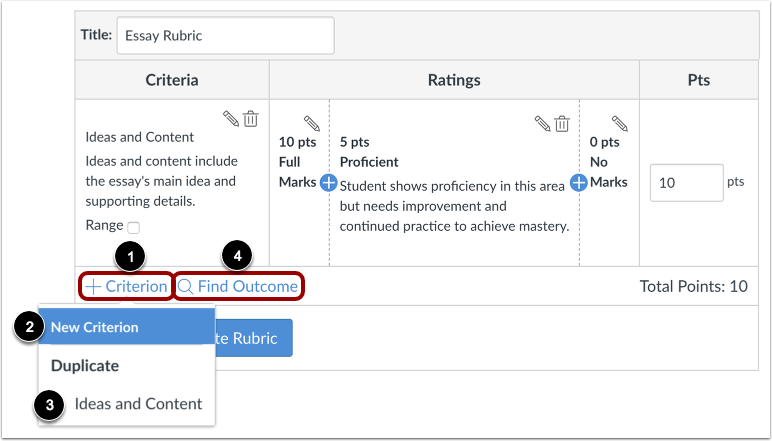 In the Title field, add a title for the rubric. 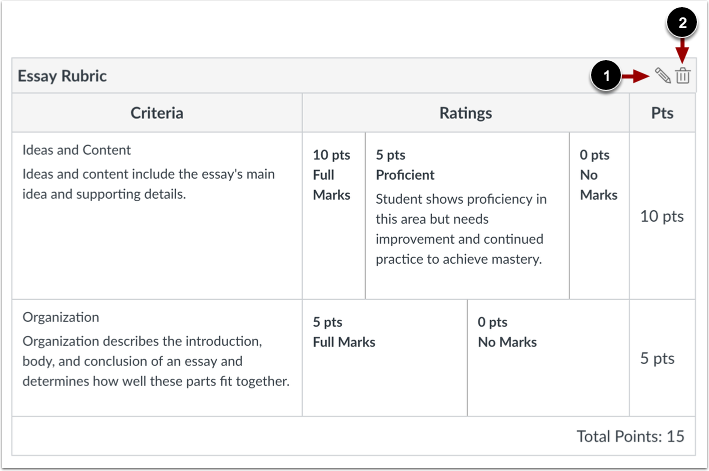 This title helps instructors identify the rubric so they can associate it with an assignment, graded discussion, or quiz. In the Edit Rating window, complete the rating criterion description. By default, the new rating points field displays the point value between the two existing ranges . To change the point value for the rating score, enter the new point value in the Rating Score field. Points can be whole (1, 5, 10) or decimal (0.3, 0.5, 2.75) numbers. Click the Update Rating button . When ranges are enabled, the Rating Score field displays the point value between the two existing ranges. 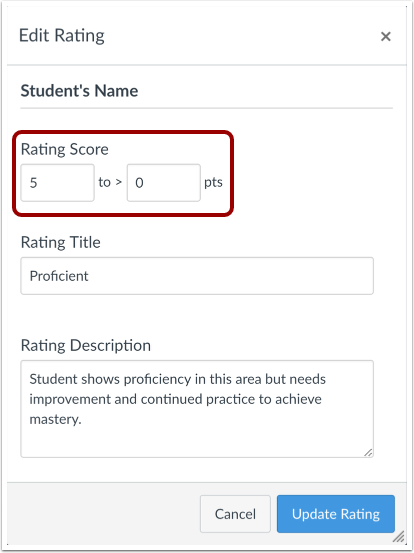 To change the point value for the rating score, enter the new point value in the Rating Score fields. Point values for range ratings should be whole numbers. 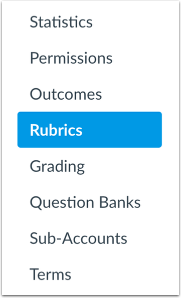 Previous Topic:How do I manage rubrics in an account? Next Topic:How do I align an outcome with a rubric in an account? Table of Contents > Rubrics > How do I add a rubric in an account?